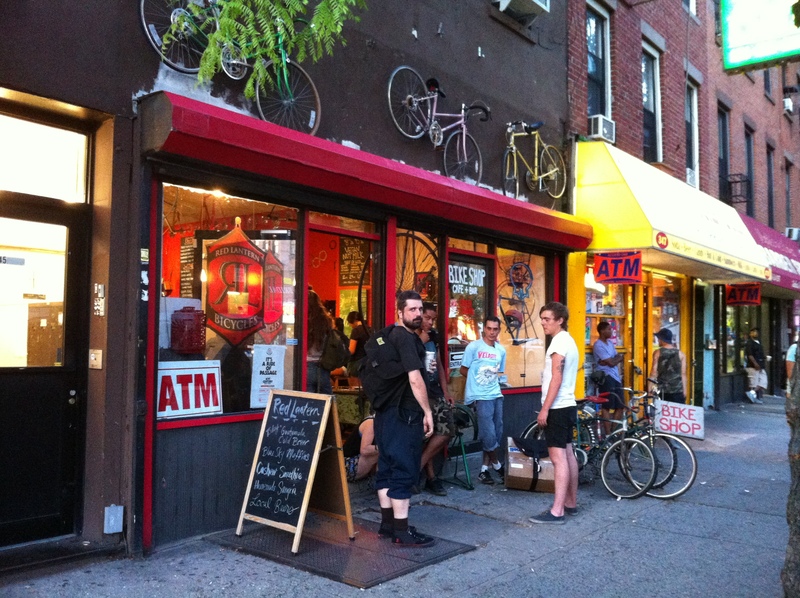 Last Thursday we had a viewing party at Red Lantern Cycles in Fort Greene. 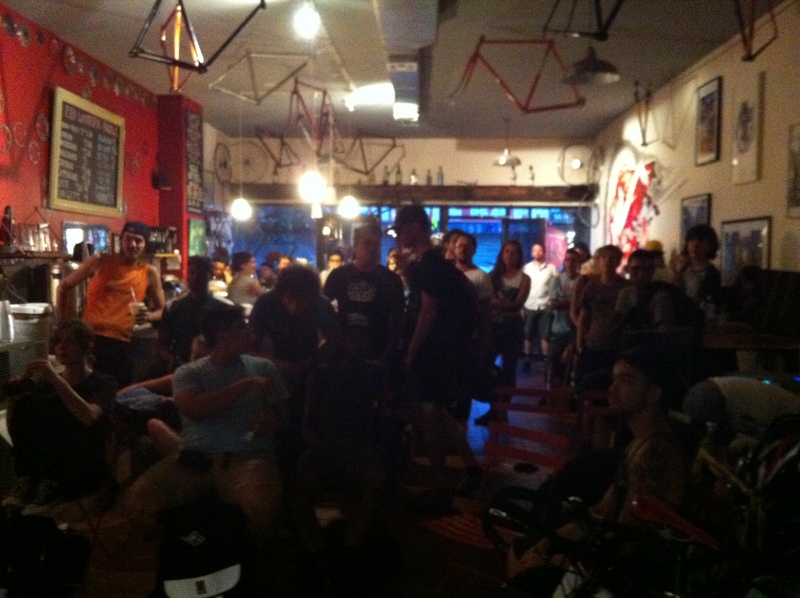 This bike shop is such an awesome venue. It’s huge, with a bar in front and plenty of space for seating. Thanks Adrianna for hooking up $2 PBRs for us for the night!! 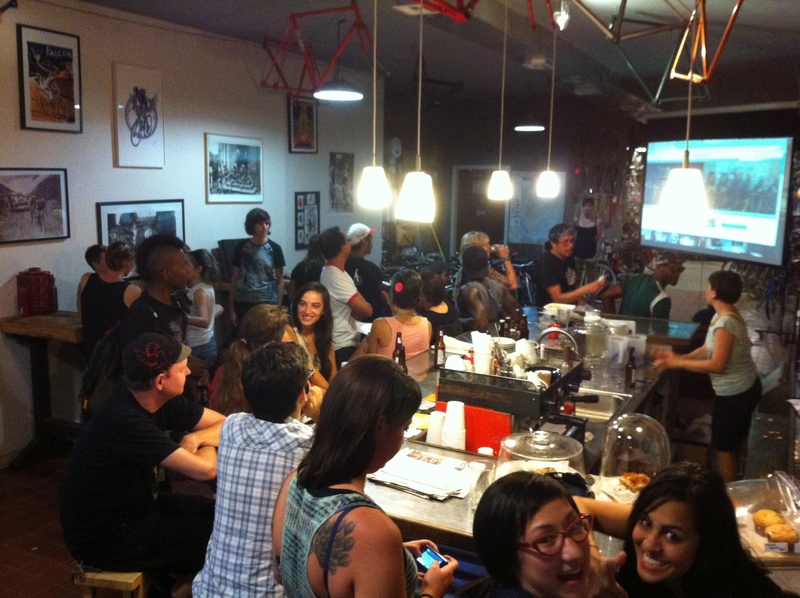 This Thursday we will be at East River Bar with happy hour extended until 9 for our second to last viewing!